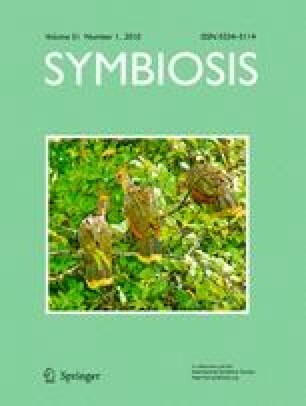 Symbiosis, the intimate association between two or more organisms, is a fundamental component of biological systems. Our ability to understand the processes involved in the establishment and function of Symbiosis has critical consequences for the health of humans and the world we live in. For example, a deeper understanding of how legumes and insects have harnessed the nitrogen-fixing capacity of microbes can pave the way toward novel strategies to decrease fertilizer use. Also, using insect models to elucidate links between diet, gut microbiota, and toxin sensitivity not only has implications for biological control strategies, but also will lend insights into similar links in the human gut ecosystem. These types of ideas were presented and discussed at the 6th International Symbiosis Society Congress held in Madison, Wisconsin August, 2009. Over 300 participants from 20 countries attended the 7-day event, which featured cutting-edge symbiosis research from many different perspectives and disciplines. The conference was organized thematically, with oral sessions focused on Evolution, Ecology, Metabolism, the Host-Microbe Interface, Threats to Earth Systems, Symbiosis Models and the Human Microbiome, Viruses and Organelles, and Symbiosis Education. World-renowned scientists, post-doctoral fellows, and students were given the opportunity to describe their most recent discoveries. Session chairs provided overviews of their programs which highlight how the comparative analysis of different systems reveal common trends underlying symbiotic associations, what tools and theory are being developed that may be applied more broadly in symbiosis research, how symbiosis research contributing solutions to global issues such as emerging antibiotic resistance, a need for alternative energy sources, the pursuit of sustainable agriculture and natural resources, and how symbiotic systems are ideal for educating people about the fascinating natural world around us. The following paragraphs provide an overview of the research and discussions that took place during the congress. The 6th International Symbiosis Society Congress was supported by grants from the United States National Science Foundation (IOS-0929143), the Burroughs Wellcome Fund (1008787), the United States National Institute of General Medical Sciences (R13GM088986-01), and the Microbes in Health and Disease Training Program (NIH NRSA AI55397).